This holiday season, unwrap the gift of heartwarming family fun and adventure with Saving Christmas, available on DVD and Digital HD from Lionsgate. Emmy Award winner Ed Asner, star of TV’s “Mary Tyler Moore” and the family movie classics Up and Elf, headlines this Christmas-themed movie about a young boy (newcomer Jack Brunault) determined to prove the existence of Santa Claus (Asner). 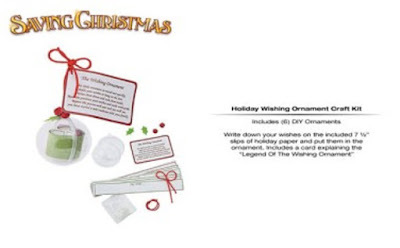 Adding to the cheer is a very merry supporting cast that includes Patrick Muldoon and Brooke Langton, along with pro wrestlers Tommy Dreamer, Mike Bennett, and Maria Kanellis. Written by Tom DeNucci and Kevin DeCristofano, and directed by Tom DeNucci, this family-friendly feature was awarded the DOVE Family Seal of Approval. 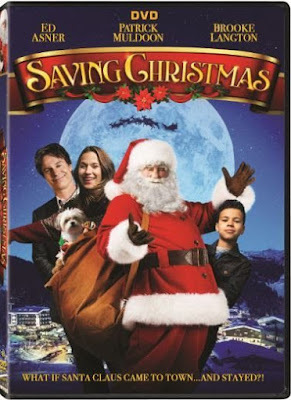 The Saving Christmas DVD is the perfect stocking-stuffer for movie fans of all ages, and will be available at the suggested retail price of $19.98.